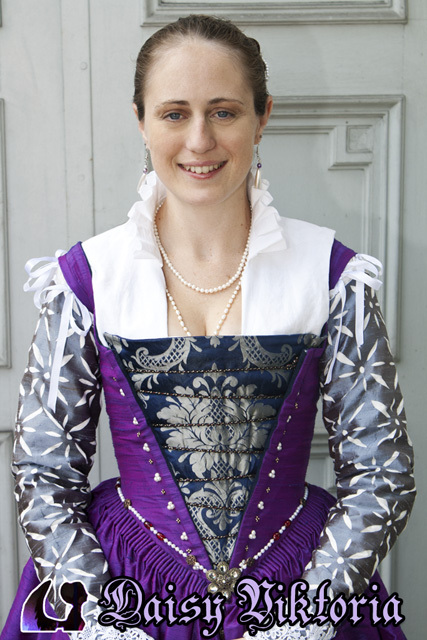 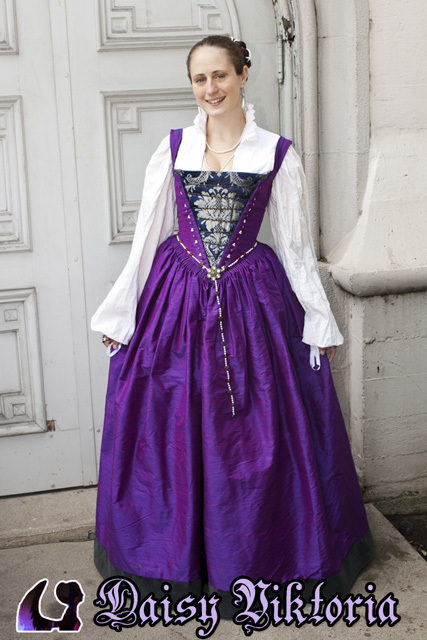 This is a late 16th century Venetian style gown. 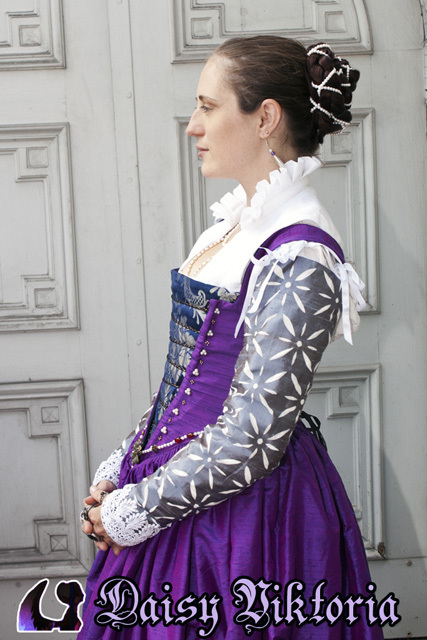 The main fabric is silk, and the bodice is fully supported with boning. 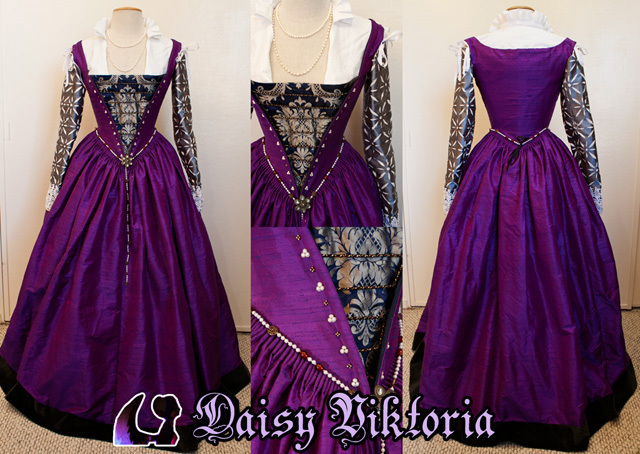 This is worn over a corset and camicia. 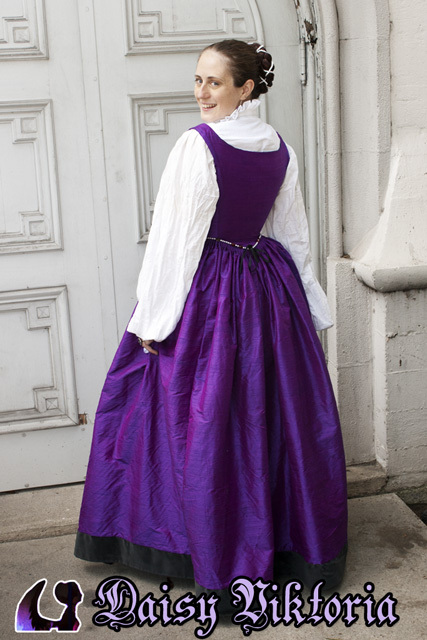 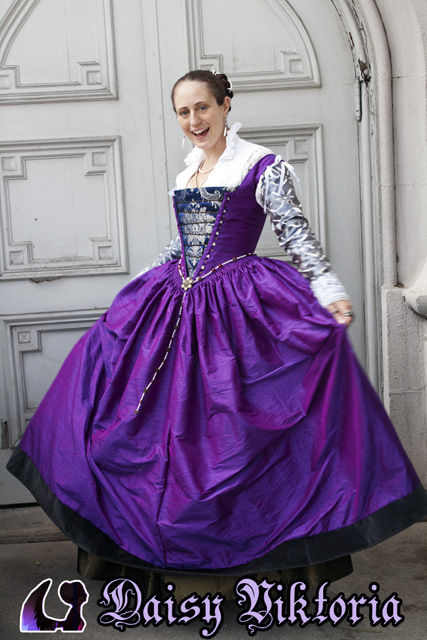 The front features a silk brocade insert, and I’m also wearing it with a petticoat and a partlet. 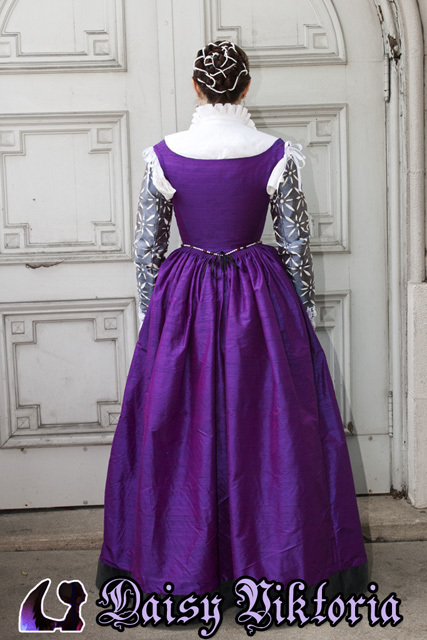 The skirt is cartridge pleated.